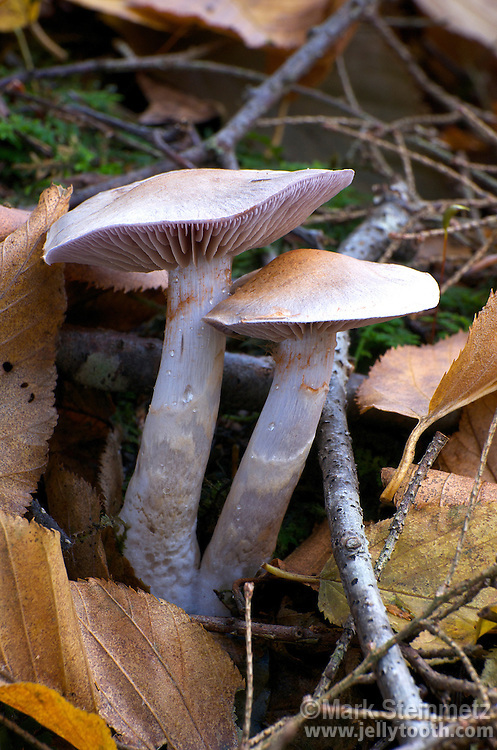 Cortinarius alboviolaceus. Rusty brown spores can been seen dropped on lower mushroom capt, and caught up in the cortina of both individuals. Mycorrhizal with hardwoods. Hocking State Forest, Ohio, USA.